Strong FY17 results; more room for AUA growth. AUA of S$7.58bn as at December 2017, up 24.3% y-oy; six consecutive quarters of growth. FY18F and FY19F earnings tweaked 6% up on higher AUA for FY17. Maintain BUY; Target Price S$1.26. iFAST has made significant progress in the last 2-3 years by broadening the range of investment products and services on its platforms, and laying the infrastructure to kick-start its business in China, a market it believes will be key in the future. The group is now a more integrated wealth management platform and this helps to strengthen its position as a key player in the wealth management industry. Despite AUA as at 31 December 2017 hitting a record high of S$7.58bn (+24.3% y-o-y), there is still room for growth as the current AUA level remains small relative to the size of the wealth management industry in Singapore and the other Asian markets it operates in. Revenue and profitability improved significantly as the group reaps the effort over the last 2-3 years to broaden the range of products and services on its platforms. FY18F and FY19F earnings tweaked 6% up on higher AUA for FY17. We maintain our AUA growth assumption of 8% for FY18F and another 5% growth for FY19F. Overall, we tweaked our earnings by 6% each for FY18F and FY19F as we update the AUA for FY17. The securities and financial services industry is highly regulated and iFAST is subject to a variety of laws and regulations across the regions it operates in. iFAST’s operations are also vulnerable to market sentiment. Strong FY17: iFAST’s revenue and profitability improved significantly over FY2017, with revenue gaining 26% y-o-y to S$101.2m while net profit surged 65.6% to S$8.8m, in line with our forecasts. Excluding the China operation, the group’s net profit rose 45.8% y-o-y to S$13.2m in FY17. For 4Q17, net profit came in at S$2.45m (+124% y-o-y; +8% qo-q) on revenue of S$28.2m (+31% y-o-y; +7% q-o-q). A final DPS of 0.90 Scts has been declared (FY16: 0.75 Scts), bringing total dividends to 3.01 Scts for FY17, higher than the 2.79 Scts for FY16. AUA of S$7.58bn as at December 2017, up 24.3% y-o-y; six consecutive quarters of growth. iFAST’s Assets Under Administration (AUA) increased 24.3% y-o-y, reaching another record high of S$7.58 bn as at 31 December 2017, marking the sixth consecutive quarter of record AUA levels for the group. The improvements resulted from the group’s continuing efforts at strengthening its investment platforms in the various markets, and positive market sentiment. Growth in AUA was across all geographical segments: Singapore’s AUA increased 19.3% y-o-y, Hong Kong’s AUA grew 27.4% y-o-y, while Malaysia’s AUA grew 52.0% y-o-y. The contribution from the Bonds / ETFs / Stocks business stood at a combined 7.5% of the group’s AUA level (as at 31 December 2017). 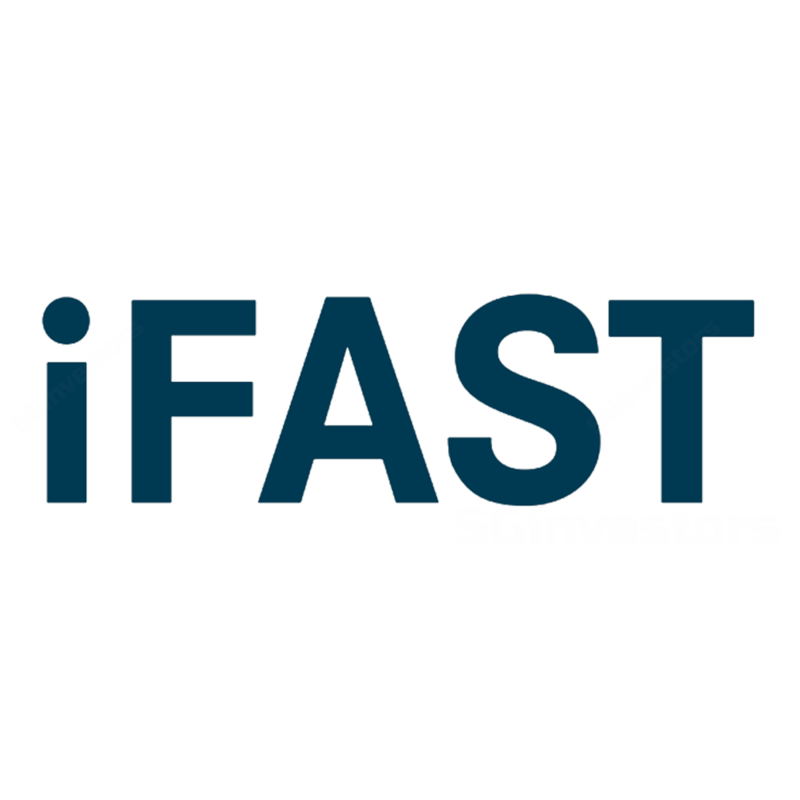 Singapore: iFAST is seeing more customers investing into the relatively new stock products in addition to unit trusts distributed on FSMOne (including bonds, stocks, ETFs and robo-advisory portfolios) for its B2C business. For the B2B business, iFAST believes that the more complete range of investment products and its fin-tech capabilities should continue to give B2B FA companies stronger wealth management capabilities in reaching out to more high-networth clients presently served by private banks. Hong Kong: With the launch of multi-product FSMOne platform in November 2017, Hong Kong B2C customers are now able to invest in multiple products, including unit trusts, bonds, stocks, ETFs and managed portfolios (robo-advisory portfolios) via one account. Coupled with its fintech solutions capability to support business partners and other financial institutions, this should provide a base for its Hong Kong operation to grow further. Malaysia: The growth in Malaysia was mainly led by the significant growth in the unit trust business. The introduction of bonds and robo-advisory portfolios in 2Q17 should help to propel growth further. China: The China business remains in the early stages of building the iFAST brand among potential clients and investment practitioners in China’s wealth management industry. Its China operation’s losses in FY18 are expected to be comparable to FY17's S$4.17m loss. In the years ahead, China is expected to be an important contributor to the group. FY18F and FY19F earnings tweaked 6% up on higher AUA for FY17. Maintain BUY. We maintain our AUA growth assumption of 8% for FY18F and another 5% growth for FY19F. Revenue growth is now 16.5%/5.7% for FY18F/FY19F, while earnings forecasts were tweaked 6% higher for both years as we update the AUA for FY17. The expected growth is on the back of the broadening range and depth of investment products and services. Maintain BUY, Target Price of S$1.26 based on Dividend Discount Model (DDM) valuation methodology, given that it is a cash-led business, supplemented by a relatively high dividend payout ratio of about 60%.